Click on the title of a post to view a full gallery of images. What’s All The Buzz About? was posted on March 28th, 2018 at 5.14pm and is filed under Uncategorized. This entry has no comments (yet). You can follow any responses through the RSS 2.0 Feed. We seem to be hearing more and more about the loss of bees, Monarch butterflies, and other insects in general. There are groups on both sides of the issues and they may both have some valid points, but also be aware that what has been reported as facts may not always be exactly true. Should we be concerned? I think so. I will share some information and thoughts, but I encourage each reader to do his or her own research and observations to draw your own conclusions. The above photo was taken of me when I was 10 years old in 1970. 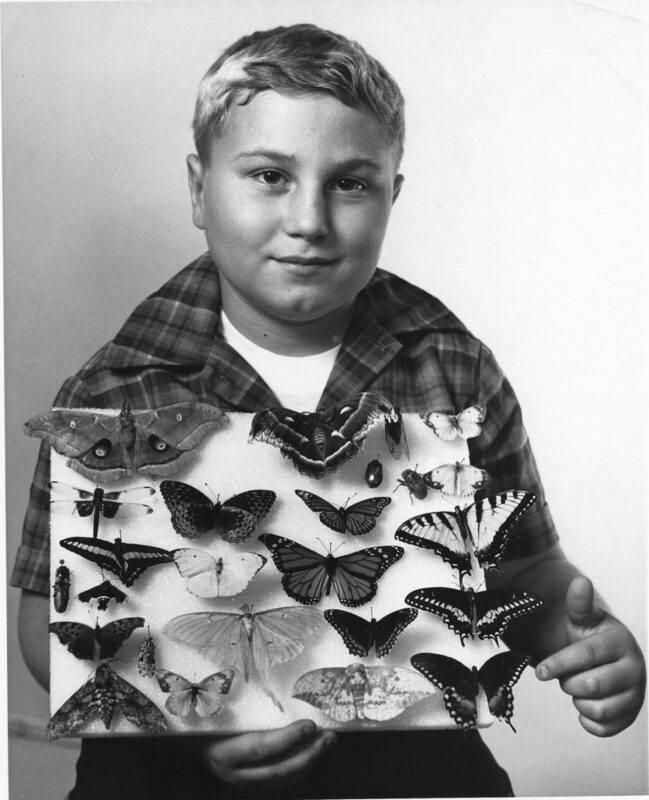 This was only a portion of my insect collection. While most of the species in this photo are common, we seem to be seeing less and less numbers of them each year. Some of them have not been seen by most of us in the area in a very long time. I first noticed this when I was in my early 30’s and while I maintain a smaller insect collection for educational purposes, I try to collect photos of insects when possible. 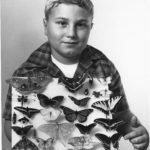 You see, I realized or thought that my over collecting as a child may have played a part in the disappearance of some less common species in the area in which I did much of my collecting. The farm chemicals or pesticides I am sure may have also contributed to this decline as well. There may also be other unseen factors at play here. A more recent practice (not by me) that I believe has affected moth, butterfly and other tree leaf eating insects was the unbridled spraying of forests and urban trees for the Gypsy moth not so many years ago. Another out of control and rampant practice is the over use of pesticides on completely unnatural lawns and landscapes. These chemicals turn our yards into toxic waste dumps, killing many beneficial organisms. You see, we have accepted this idea from the chemical companies that “bugs” are bad and should be euthanized. By not educating ourselves and understanding them we have developed unnecessary and unfounded phobias of spider, insects, and bats; all of which can be very beneficial. Only one tenth of one percent of all insects worldwide are pests or harmful. Many of our pest are form other continents and not natural here. There are groups that say the Monarch butterfly is headed to extinction. Well numbers have been lower in the past and they have come back. 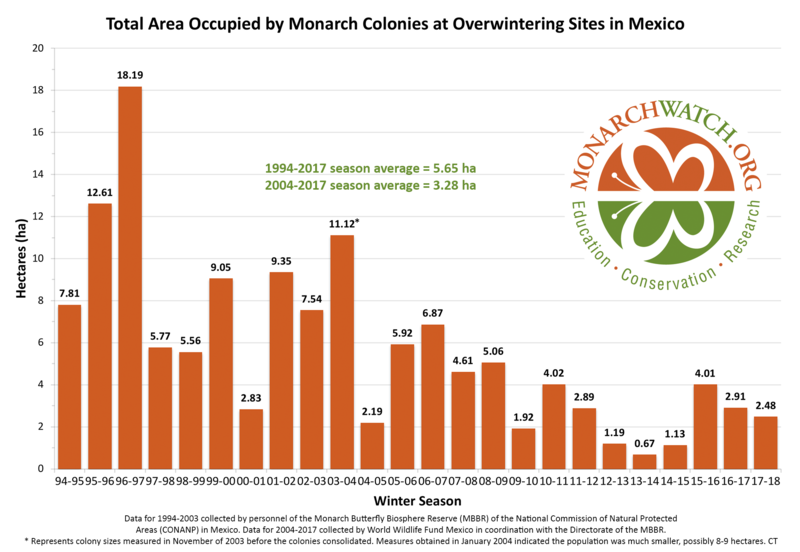 The problem now is that we are on a constant down slide overall with higher years being lower and lower across the graph at https://monarchwatch.org/blog/uploads/2018/03/monarch-population-figure-monarchwatch-2018.png. Is there one answer to the loss? No, but rather a combination of loss of habitat, especially for fall nectar sources when preparing for and while migrating. Winter grounds are possibly also being destroyed according to some reports. The real areas of concern for milkweed loss may be the Midwest grain farming areas where milkweed is sprayed with herbicides, creating a gap in enough places to lay eggs on the journey north. Many Monarch groups strongly advocate for planting more milkweed, but we have more milkweed than Monarchs in most northern areas. We should be planting and maintaining native nectar sources as well. If you are planting milkweeds, use only native species and locally sourced seed. Also remember Monarchs are not endanger worldwide, only the eastern US migrating group. There are other populations that monarch groups seem to forget, so the species really isn’t endanger of extinction. What about the bees? The exact amount of your food pollinated by bees is being debated by both sides. The truth is that our major source of food like corn, soy beans, and grains are all wind pollinated. We might better compare the amount of healthier fruits and vegetables that need bees. Tree fruits like apples, peaches and cherries as well as blueberries all need bees. There are several problems plaguing our honey bees, which are not native to North America but are used widely in crop pollination. Native bees are disappearing, most due to habitat loss. We have many species of native bees, over 340 species in Michigan alone. These are not major crop pollinators but do play an important role in pollination our native plants. I have noticed over the last couple of years that my windshield gets many less bug splats than before. This is one gauge being used by scientist to indicate that insects in general are on a steep decline. So what, you may think. The ramifications are huge. Many birds, amphibians, and some mammals that rely on insects for food are declining. Insects help in pollination, decomposition of plant and other dead materials as well as being the food source I just mentioned. To sum things up, the problems are compound and complex. But there may be some simplicity here as well. Putting our health and the wellbeing of the environment ahead of greed and not following the status quo will have far reaching but positive implications for all of us. The cause of these losses is not a single cause or source, but many. We have lost valuable tree cover that cools and purifies the air, cleans run off storm water helping to keep our waters clean. 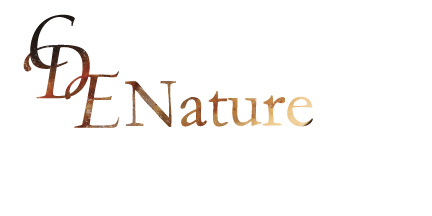 Natural habitat that provides homes, cover and food sources for bees, butterflies, bat, mammals and a whole host of other insects is slipping away to progress at alarming rates. Amphibians are vanishing along with the wetlands, particularly vernal pools that they breed in. These are all indicators of a very large and serious problem; loss and misuse of natural habitats and contamination of our waters, air and lands. Maybe, just maybe, taking better care of creation is better for us and our health.